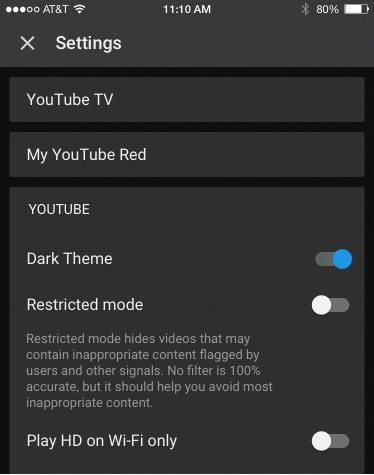 YouTube has announced today its iOS and Android apps are finally getting access to a ‘Dark Theme’, which has been available on its desktop version of the site (but hard to find). The new Dark Theme for YouTube on iOS is rolling out today and we can confirm it’s live in Canada. If you’re not seeing it, force quit your YouTube app, then relaunch it. 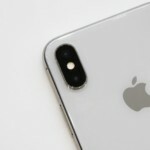 You should then see a notification at the bottom detailing “New! Dark theme”, and letting you toggle it on right away. To toggle on/off the new Dark Theme, just tap your profile icon, go to Settings and then you’ll see the toggle setting to turn it on or off. For those who like to watch YouTube in bed at night, this Dark theme will help keep brightness to a minimum, especially if you have a partner who is sensitive to light at night.